Please initiate all speaker engagements directly with each speaker. This includes invitations, fees, expense reimbursement, etc. 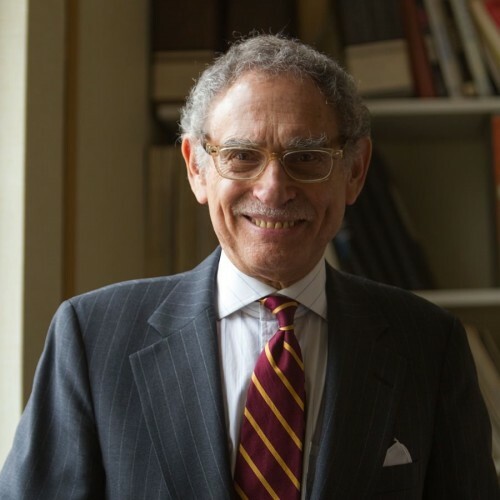 Hadley Arkes has been a member of the Amherst College faculty since 1966, and since 1987 he has been the Edward Ney Professor of Jurisprudence. He has written five books with Princeton University Press: Bureaucracy, The Marshall Plan and the National Interest (1972), The Philosopher in the City (1981), First Things (1986), Beyond the Constitution (1990), and The Return of George Sutherland (1994). His most recent books have been with Cambridge University Press, including Natural Rights and the Right to Choose (2002), and Constitutional Illusions and Anchoring Truths: The Touchstone of the Natural Law (2010). His articles have appeared in professional journals. Apart from his writing in more scholarly formats, he has become known to a wider audience through his writings in the Wall Street Journal, the Weekly Standard, and National Review. He has been a contributor also to First Things, a journal that took its name from his book of that title. He was the main advocate, and architect, of the bill that became known as the Born-Alive Infants’ Protection Act. Prof. Arkes first prepared his proposal as part of the debating kit assembled for the first George Bush in 1988. The purpose of that proposal was to offer the “most modest first step” of all in legislating on abortion, and opening a conversation even with people who called themselves “pro-choice.” Professor Arkes proposed to begin simply by preserving the life of a child who survived an abortion–contrary to the holding of one federal judge, that such a child was not protected by the laws. On August 5, President Bush signed the bill into law with Professor Arkes in attendance. Professor Arkes has been the founder, at Amherst, of the Committee for the American Founding, a group of alumni and students seeking to preserve, at Amherst, the doctrines of “natural rights” taught by the American Founders and Lincoln. That interest has been carried over now to the founding of a new center for the jurisprudence of natural law, in Washington DC: the James Wilson Institute on Natural Rights and the American Founding, named for one of the premier legal minds among the American Founders. Daniel Mark is an assistant professor of Political Science at Villanova University. He teaches political theory, philosophy of law, American government, and politics and religion. There he is a faculty associate of the Matthew J. Ryan Center for the Study of Free Institutions and the Public Good, and he holds the rank of battalion professor in Villanova’s Navy Reserve Officers’ Training Corps. He is on the Steering Committee for the Villanova Political Theology Project, and on the Graduate Committee of the Political Science Department. He has served as faculty adviser to the mock trial team, and mentor in Villanova’s Faith and Learning Scholars Program. In 2017-18, Dr. Mark is a Visiting Fellow at the University of Notre Dame. In 2015-16, he was a Visiting Fellow, Department of Politics at Princeton University under the sponsorship of the James Madison Program in American Ideals and Institutions. Dr. Mark is Vice Chairman of the US Commission on International Religious Freedom. He was appointed in 2014 by Speaker John Boehner, and he was reappointed in 2016 by Speaker Paul Ryan. He has participated in USCIRF delegations to Azerbaijan, Indonesia, Malaysia, Nigeria, and Vietnam, and published on international religious freedom in US News & World Report, Investor’s Business Daily, Foreign Affairs, The Hill, and the Philadelphia Inquirer. He holds a BA, MA, and PhD from Princeton University. He wrote his dissertation under the direction of Professor Robert P. George on “Authority and Legal Obligation.” There, he participated in the Program in Law and Public Affairs and the Penn-Princeton Bioethics Forum. He was also affiliated with the James Madison Program in American Ideals and Institutions and served as coordinator of its Undergraduate Fellows Forum. Dr. Mark is a Fellow of the Witherspoon Institute in Princeton, works with the Tikvah Fund in New York, and he has taught at the Straus Center for Torah and Western Thought at Yeshiva University. Daniel has spoken at meetings of the Acton Institute, the US Military Academy/West Point, the American Enterprise Institute, the Becket Fund for Religious Liberty, the Love & Fidelity Network, the Ethics & Religious Liberty Commission of the Southern Baptist Convention, the James Wilson Institute, Opus Dei, and Chabad. In 2015, Daniel spoke at the World Meeting of Families, organized by the Catholic Church. It drew 20,000 participants to Philadelphia. Recent appearances include speeches at Ave Maria University, Baylor University, Brigham Young University, Colorado Christian University, the University of Notre Dame, and the Mount Academy, the Bruderhof (Anabaptist) high school in upstate New York. Before graduate school, Dr. Mark spent four years as a high school teacher in New York City, and he received the New Jersey Department of Education Commissioner’s Distinguished Teacher Candidate Award while earning his teaching certification. 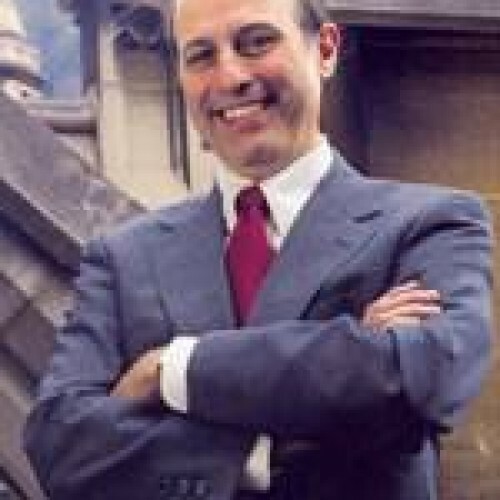 J. Kennerly Davis is a senior attorney, retired business executive and former public official who writes and speaks frequently on the natural rights foundation of the American Republic, capitalism and the rule of law, the unconstitutional Administrative State, and individual liberty as the key to progress and prosperity. 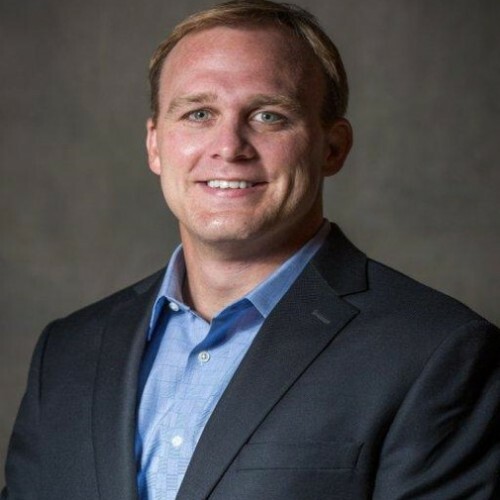 Mr. Davis, a Member of the James Wilson Institute, has an undergraduate honors degree in politics from Cornell University, a graduate degree in politics, philosophy and economics from Oxford University, and a law degree from Harvard University. Dr. R. Sohan Dasgupta is an international law expert and a 2016 James Wilson Fellow. He speaks publicly on international law, foreign policy and diplomacy, constitutional law, and intellectual diversity and academic freedom. Dr. Dasgupta's contributions on U.S.-Asia, and particularly U.S.-India, partnership have appeared in Fortune, and his work on international law have appeared in the Heritage Foundation's publications and various law reviews. Dr. Dasgupta led a think tank's efforts to produce a draft Constitution of Tunisia, which was lauded by a wide range of experts. 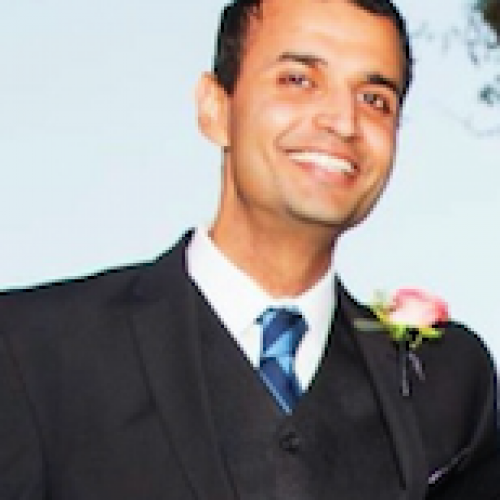 Dr. Dasgupta earned his J.D. from the UC Berkeley School of Law (Boalt Hall), where upon graduation he was elected to the Order of the Coif. He received his Ph.D. in International Law from the University of Cambridge, where he was an Overseas Trust Scholar; his M.Sc. from the University of Oxford; and his B.A. from Columbia University. He is the author of International Interplay: The Future of Expropriation Across International Dispute Settlement. Dr. Dasgupta has been fortunate to clerk for Judge David Faber of the U.S. District Court for the Southern District of West Virginia and Judge Consuelo Callahan of the U.S. Court of Appeals for the Ninth Circuit. Dr. Dasgupta serves on the Federalist Society International Law and National Security Law Practice Group's Executive Committee. He served as Executive Editor of the Harvard Journal of Law and Public Policy's symposium issue and Executive Editor of the Berkeley Journal of International Law. Derek A. Webb is an associate at Sidley Austin, LLP, where he focuses on Supreme Court and Appellate litigation. He received his B.A. in philosophy from Yale University, Ph.D. in political theory from the University of Notre Dame, and J.D. from Georgetown Law School. 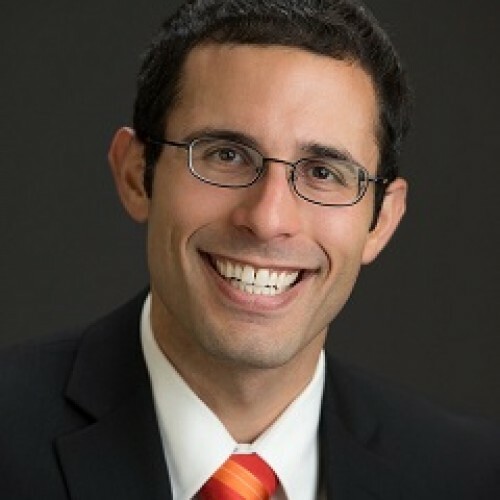 Following law school, he was a Fellow in Stanford Law School's Constitutional Law Center, a Supreme Court Fellow in the Office of the Counselor to the Chief Justice, and a law clerk to Judge Jeffrey S. Sutton in the Sixth Circuit Court of Appeals. He has been published in Law and History Review, The American Journal of Legal History, The Journal of American Political Thought, The Journal of Legal Education, and Judicature. In 2012 he received the Warren E. Burger Prize from the American Inns of Court for his article "The Original Meaning of Civility: Democratic Deliberation at the Philadelphia Constitutional Convention." David F. Forte is Professor of Law at Cleveland State University, where he was the inaugural holder of the Charles R. Emrick, Jr.- Calfee Halter & Griswold Endowed Chair. Recently, he was the Garwood Visiting Professor at Princeton University in the Department of Politics and Visiting Fellow at the James Madison Program in American Ideals and Institutions. He also held the position of Consultor to the Pontifical Council for the Family under Pope St. John Paul II and Pope Benedict XVI. In 2003, Dr. Forte was a Distinguished Fulbright Chair at the University of Trento and returned there in 2004 as a Visiting Professor. He has been awarded a second Distinguished Fulbright Chair to be at the University of Warsaw in 2019. He was the Senior Visiting Scholar at the Center for the Study of Religion and the Constitution in at the Witherspoon Institute in Princeton, New Jersey. He holds degrees from Harvard College, Manchester University, England, the University of Toronto, and Columbia University. During the Reagan administration, Professor Forte served as chief counsel to the United States delegation to the United Nations and alternate delegate to the Security Council. He has authored a number of briefs before the United States Supreme Court, and has frequently testified before the United States Congress and consulted with the Department of State on human rights and international affairs issues. His advice was specifically sought on the approval of the Genocide Convention, on world-wide religious persecution, and Islamic extremism. He has appeared and spoken frequently on radio and television, both nationally and internationally. In 2002, the Department of State sponsored a speaking tour for Professor Forte in Amman, Jordan, and he was also a featured speaker to the Meeting of Peoples in Rimini, Italy, a meeting which gathers over 500,000 people from all over Europe. He has also been called to testify before the state legislatures of Ohio, Kansas, and Idaho as well as the New York City Council. He has assisted in drafting a number of pieces of legislation for the Ohio General Assembly dealing with abortion, international trade, and federalism. He has sat as acting judge on the municipal court of Lakewood Ohio and was chairman of Professional Ethics Committee of the Cleveland Bar Association. He has received a number of awards for his public service, including the Cleveland Bar Association’s President’s Award, the Cleveland State University Award for Distinguished Service, the Cleveland State University Distinguished Teaching Award, and the Cleveland-Marshall College of Law Alumni Award for Faculty Excellence. He was the Robert E. Henderson Constitution Day Lecturer at the Ashbrook Center at Ashland University, and he has given over 300 invited addresses and papers at more than 100 academic institutions. His work has been cited by the U.S. Supreme Court. Justin Dyer is professor of political Science and director of the Kinder Institute on Constitutional Democracy at the University of Missouri. An award-winning teacher and scholar, Professor Dyer’s work spans the fields of American political development, political theory, and constitutional law, with a particular focus on the perennial philosophy of natural law. He is the author or editor of six books, including C.S. Lewis on Politics and the Natural Law (Cambridge, 2016); Slavery, Abortion, and the Politics of Constitutional Meaning (Cambridge, 2013); and Natural Law and the Antislavery Constitutional Tradition (Cambridge, 2012). His essays have been published in both scholarly and popular outlets, including the Journal of Politics, PS: Political Science and Politics, Polity, Politics & Religion, Claremont Review of Books, National Review Online, Touchstone, and Public Discourse. A frequent lecturer on college and university campuses, Professor Dyer regularly teaches courses on political theory and the U.S. Constitution. He is a discussion leader at James Wilson Institute Senior Seminars for appellate judges, attorneys, and scholars. Michael Uhlmann has been a Professor of Politics & Economics at Claremont Graduate University since 2002. His research specializations include American Presidency, Executive - Congressional relations, and the federal judiciary, i.e. the federal administrative process and national security decision-making. In addition to his regular coursework at CGU, Uhlmann teaches in and directs CGU’s Tribal Administration Program. 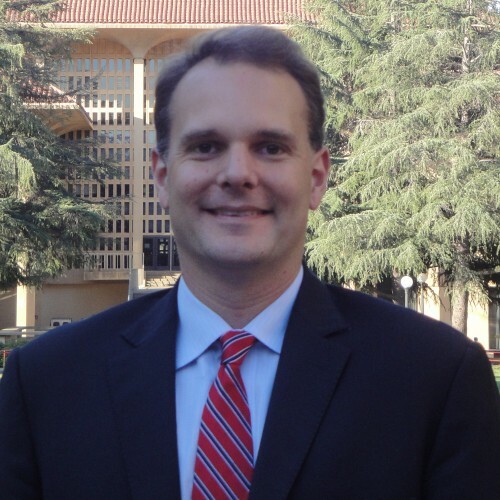 Uhlmann is an adjunct professor at Claremont McKenna College, teaching a variety of courses in the Department of Government. Prof. Uhlmann received his PhD in Government from Claremont Graduate University after receiving his BA in History from Yale University and his LLB from the University of Virginia Law School. Immediately prior to joining the CGU faculty, Uhlmann served as a Senior VP of the Lynde & Harry Bradley Foundation in Milwaukee. Before that, he was a Senior Fellow at the Ethics and Public Policy Center in Washington DC. He also served for many years as a partner in the Washington office of Pepper, Hamilton, & Scheetz, where he specialized in federal anti-trust and administrative law. In addition to his academic career, private legal practice, and philanthropic work, Uhlmann has had a distinguished career in government, beginning with service as committee counsel in the US Senate, and as Assistant General Counsel of the Federal Trade Commission. In 1974, following Senate confirmation, he was appointed by President Ford to be Assistant Attorney General for Legislative Affairs in the Justice Department. From 1981-1984, he served as Special Assistant to President Reagan, and Associate Director of the White House Office of Policy Development. He was involved in the Reagan Presidential transition in 1980–1981, and Chaired the Justice Department transition team for President-Elect George H. W. Bush in 1988–1989. Uhlmann has written for leading newspapers and journals of opinion, including National Review, Weekly Standard, Philadelphia Inquirer, Los Angeles Times, Washington Post, First Things, and Claremont Review of Books. Prof. Uhlmann is a regular lecturer for the James Wilson Institute’s Senior Seminars with scholars and appellate judges, and with JWI’s Fellowship program. Gunnar earned his BS at the University of Southern California, where he was as a Merit Research Scholar and taught undergraduates ‘Physics: Electricity & Magnetism’. While earning his law degree at Pepperdine, he won a moot against Middle Temple Inn in London, was a member of Order of the Coif, and graduated valedictorian. He served on the Law Review, which published his note on textualism and statutory interpretation. Gunnar served as a clerk to Judge Diarmuid O’Scannlain of the US Court of Appeals for the Ninth Circuit. Gunnar then practiced law at Kirkland & Ellis, Irell & Manella, and Latham & Watkins. His legal experience and practice includes constitutional issues, e.g., the famous “Bong Hits 4 Jesus” case, Morse v. Frederick. In 2016, he represented the Intellectual Property Owners Association before the US Supreme Court as amici in Kirtsaeng v. John Wiley & Sons. He has also been involved in over $4.5 billion worth of intellectual-property transactions. Gunnar is now a partner at Gundersen Law. He is also an Alliance Defending Freedom Allied Attorney. In 2015, he received a Master’s Certificate in Legal Writing from the Academy of American Legal Writers, the highest national standard in legal writing. While there, Gunnar earned the Jackson Achievement Award. Gunnar has published essays in the Los Angeles Daily Journal, The Catholic Thing, IPWatchdog.com, Intellectual Property Magazine, and Catholic.org. His essay topics range from international patent exhaustion to religious freedom. He has given MCLE presentations, and he has lectured at Loyola Law School/Los Angeles and the James Wilson Institute. 2018 was Gunnar's second year of teaching on the faculty of the James Wilson Fellows Program. Government, in my humble opinion, should be formed to secure and to enlarge the exercise of natural rights of its members, and every government, which has not this in view, as its principal object, is not a government of the legitimate kind.